Frequently, I am asked to write a post about how improve your EKG skills. These requests typically come from recently graduated Paramedics, or Paramedic students. I firmly believe that the only way to truly improve your EKG skills is to read EKGs, lots and lots of EKGs. If you are trying to read lots of EKGs, there are several ways you could go about this. Buy a few EKG books and carry them around with you. Use websites/blogs with EKG case studies. Obtain lots of EKGs from actual patients you treat. I encourage everyone to use all three of the above methods in their journey toward EKG mastery, but there are some limitations to each of them. Good EKG books are EXPENSIVE, and can be particularly painful to purchase on an EMS salary. It is also very damaging to your books to carry them on shift with you, trust me. Many EKG websites are free and contain excellent content. However, you must be stationary at a computer to use them. You could view them on your phone, of course, but this is often difficult. In order to obtain lots of real EKGs, you must treat lots of real patients. So for those looking to improve their skill on the front end, this is not really an option. Recently I heard about two apps produced by Limmer Creative that caught my attention: The ECG Challenge & The 12-Lead ECG Challenge. I took some time getting to know these two apps, and was very impressed by them. You’ll see why as I briefly review each of them below. The ECG Challenge was created by Dawn Altman of ECGGuru.com, and tests your ability to interpret 150 rhythm strips. All of the strips were obtained from real patients, as opposed to the computer generated rhythms depicted in many textbooks. The app not only tests your ability to identify rhythms, but also teaches you. The image below is a screenshot of the app in action. You are presented with a rhythm strip and a brief patient history. If you are left scratching your head, you can always click the “show hint” link, which will display a small hint to help you identify the rhythm. Once you think you have the correct answer, you can click the “Show Answer” button, which not only displays the answer, but also a rationale. If you correctly identified the rhythm and feel comfortable identifying it again, you have the option to select “Mastered”. When you mark a rhythm as mastered, you will not be shown it again in the future. Since you are able to mark rhythms in this manner, you can spend more of your study time learning the rhythms you have a harder time identifying. You can reset your “Mastered” tracings at any time, allowing you to review all of the tracings again. Users can access the app from their computer, phone or tablet, making it easy to practice at home or on the go. When using the app on your phone, users have the option to zoom in on the tracings, rotate the image to landscape view, or both. The ECG Challenge is available for iOS, Android, and as a web app. The purchase cost at the time this review was written was $4.99. Tracings are from actual patients, not computer generated. Easy to use on the go or at home. Provides hints to help refocus the user. The 12-Lead ECG Challenge app is very similar in function to the ECG Challenge. Created by Tom Bouthillet, of EMS12Lead.com, the app contains 150+ 12-Lead ECGs, all of which were obtained from real patients. Users are provided with a 12-Lead ECG and brief patient history, as shown below. After making an interpretation, the correct answer can be revealed by clicking the “Show Answer” button. On many of the 12-Leads, not only will the answer be shown, but also details on where the particular abnormality is located. This is shown in the screen capture below. Here’s an example of one of the study items, which teaches the user to identify a bifasicular block. Just like the ECG Challenge, there is an option to mark items as “Mastered”, which will hide them until they are manually unlocked. Functions such as zoom and rotate are also available, making use on your phone easier. The 12-Lead ECG Challenge is also available for iOS, Android, and as a web app. The purchase cost at the time this review was written was $5.99. Shows 12-Lead ECGs from actual patients, along with their presentation. Gives detailed feedback, and discusses clinical criteria. Easy to use at home or on the go. Identifies abnormalities in detail on the 12-Lead itself. While the explanations are top notch, beginners may become overwhelmed or confused by the volume of information presented. Cardiac cath lab activation criteria may be different than the users agency criteria, which could cause confusion. If you wish to purchase either of the two apps listed above, there are two ways you can do so. You can purchase either of them as stand-alone applications, or as applications within the LC-Ready Dashboard. The LC-Ready dashboard allows you to access any LC-Ready apps you have purchased in one place, which is nice, and also allows you to use your purchased apps on a computer. Users can access the dashboard app from their computer, phone or tablet, making it easy to practice at home or on the go. On your dashboard you will find a summary of your study history, and options for launching or reviewing any of your purchased Limmer Creative apps. It is important to note that if one of the stand-alone applications is purchased, you will not automatically have access to the app from within the LC-Ready dashboard. However, Limmer Creative can manually provide you dashboard access if you did happen to purchase the stand-alone app first. All in all, I think that both of these apps are a great way to increase your EKG skills. They are fairly inexpensive, provide real tracings, and can be used any time you have a few spare moments. Both apps are excellent for anyone who is new to EKG interpretation, but even experienced providers will benefit from exercising the EKG area of their brain frequently. Additionally, I think that the value is very good for the cost, so while these apps are by no means the only way to improve your EKG skills, they are definitely excellent tools. If you are interested in learning more about these apps, you can visit the Limmer Creative website by clicking here. It is important that I disclose that I have absolutely no financial ties with Limmer Creative, or to any of the products reviewed in this article. I was,however, provided with a free copy of The ECG Challenge, and The 12-Lead ECG Challenge, in order to review them. Thanks for reading! If you aren’t following the site via e-mail, please take a moment to do so by clicking here. You can also follow me on Twitter and Facebook. I can’t give you a hard date yet, but the first episode of the Ditch Doc EM Podcast should be available for download within the next few weeks! We have a ton of great content for you, so keep your eyes open for the big release! Until next time, stay focused and treat aggressively! Thanks for the great review! We really appreciate it. Limmer Creative, Tom Bouthilette, and I all want one thing: to improve education and access to information. We all work hard to provide quality educational materials. .
You’re welcome, Dawn! It is very apparent from the high quality and low cost of the products, that helping others to become better providers is priority #1. I am very glad that I found the apps, and am more than happy to spread the word! 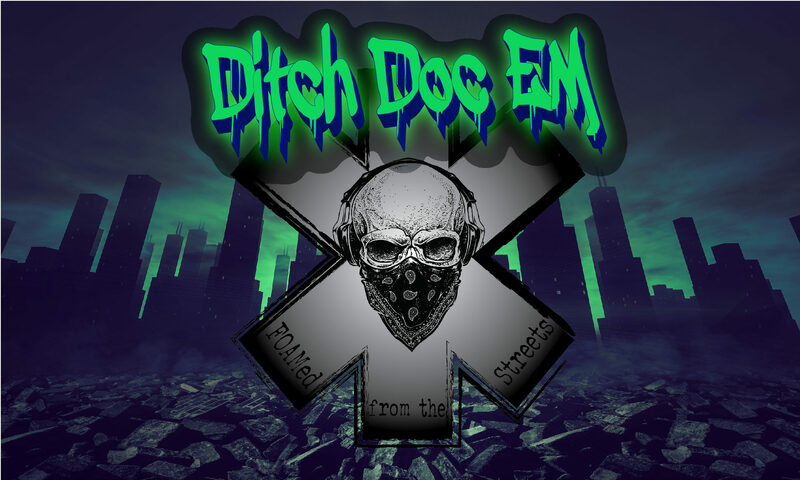 Next PostNext The Ditch Doc EM Podcast: Episode 1- Here, Hold My Adenosine and Watch This!